AP: A Saudi judge has asked several hospitals in the country whether they could damage a man's spinal cord as punishment after he was convicted of attacking another man with a cleaver and paralyzing him, the brother of the victim said Thursday. Abdul-Aziz al-Mutairi, 22, was left paralyzed and subsequently lost a foot after a fight more than two years ago. He asked a judge in northwestern Tabuk province to impose an equivalent punishment on his attacker under Islamic law, his brother Khaled al-Mutairi told The Associated Press by telephone from there. He said one of the hospitals, located in Tabuk, responded that it is possible to damage the spinal cord, but it added that the operation would have to be done at another more specialized facility. 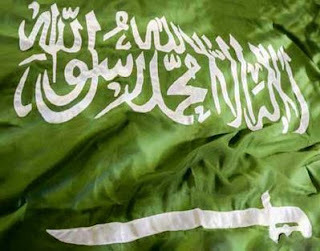 Saudi newspapers reported that a second hospital in the capital Riyadh declined, saying it could not inflict such harm. Administrative offices of two of the hospitals and the court in Tabuk were closed for the Saudi weekend beginning Thursday and could not be reached for comment. A copy of the medical report from the King Khaled Hospital in Tabuk province obtained by the AP said the same injury al-Mutairi suffers from can be inflicted on his attacker using a nerve stimulant, and inducing the same injuries in the same locations. The report was dated six months ago. Saudi Arabia enforces strict Islamic law and occasionally doles out punishments based on the ancient legal code of an eye-for-an-eye. However, King Abdullah has been trying to clamp down on extremist ideology, including unauthorized clerics issuing odd religious decrees. The query by the court, among the most unusual and extreme to have been made public in the kingdom, highlights the delicate attempt in Saudi Arabia to balance a push to modernize the country with interpretations of religious traditions that critics say are out of sync with a modern society. The Saudi newspaper Okaz identified the judge as Saoud bin Suleiman al-Youssef. Khaled al-Mutairi, 27, said the assailant was sentenced to 14 months in prison for the attack that paralyzed his younger brother, but he was released after seven months in an amnesty. He said the attacker then got a job as a school teacher . "We are asking for our legal right under Islamic law," the brother said. "There is no better word than God's word — an eye for an eye." A Saudi newspaper Okaz reported that a leading hospital in Riyadh — King Faisal Specialist Hospital — responded that it could not do the operation. It quoted a letter from the hospital saying "inflicting such harm is not possible," apparently refusing on ethical grounds. Islamic law applied in Saudi Arabia allows defendants to ask for a similar punishment for harms inflicted on them. Cutting off the hands of thieves, for example, is common. Under the law, the victim can receive a blood money to settle the case. Khaled al-Mutairi said his family is not interested in blood money, and would be ready to send the attacker abroad to perform the operation if it were not possible in the kingdom. Human rights group say trials in Saudi Arabia fall far below international standards. They usually take place behind closed doors and without adequate legal representation. Those who are sentenced to death are often not informed of the progress of legal proceedings against them or of the date of execution until the morning on which they are taken out and beheaded. Amnesty International expressed concerns over the reports and said the rights group was contacting Saudi authorities for details. "We are very concerned and we will appeal to the authorities not to carry out such a punishment," said Lamri Chirouf, the group's researcher on Saudi Arabia. Such measures are against international conventions against torture and international standards on human rights. Chirouf said this was the first time Amnesty had heard of a punishment involving the damaging of a spinal cord. "But it's hard to follow details of the Saudi justice system. People are sentenced in closed trials with no access to the public and no lawyers," he said. According to Amnesty, in 2005, a convict in the kingdom had his teeth pulled out by a dentist because he had smashed another man's teeth out in a fight. "We have also had cases of people sentenced to blindness because they have caused the blindness of another person," Chirouf said. "But never anything involving a spinal cord."